There are a few critical elements that enable a brand to stand the test of time. For Birdwell, it has always been the detailed craftsmanship, quality design, and deep-rooted history that has continued to grow this California brand's loyal following. Founded in 1961 by Carrie Birdwell Mann, Birdwell has been an essential part of the coastal lifestyle since its inception. It was one of the first businesses specializing in surf wear, which ultimately turned Mann's living room into one of the first surf shops, with her first customers being lifeguards in Newport Beach. 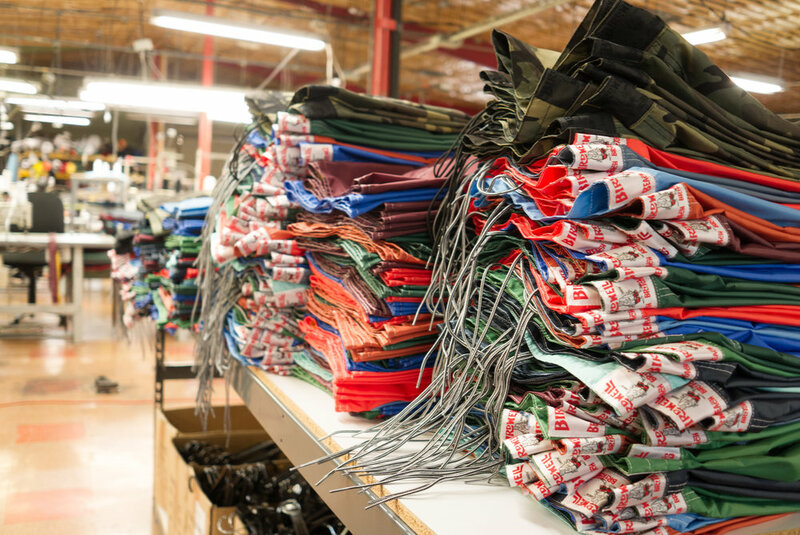 The first products she created are still the main staples of the Birdwell brand: two-ply nylon beach britches built for surfing. Now, more than 50 years later, and with the new leadership of some of the industry's most legendary figures in the mix, like Natas Kaupas (one of the original members of Dogtown) as well as Geoff Clawson and Matt Jacobson, long-time loyal customers of Birdwell who met while at Facebook, Birdwell is coming back better than ever, while staying true to its authentic roots. We sat down with Natas and Geoff to talk about where the brand has been and where it is headed in the coming years, including the noteworthy collaborations they have and will do in the future. Continue reading to finally understand why this brand is a must watch! 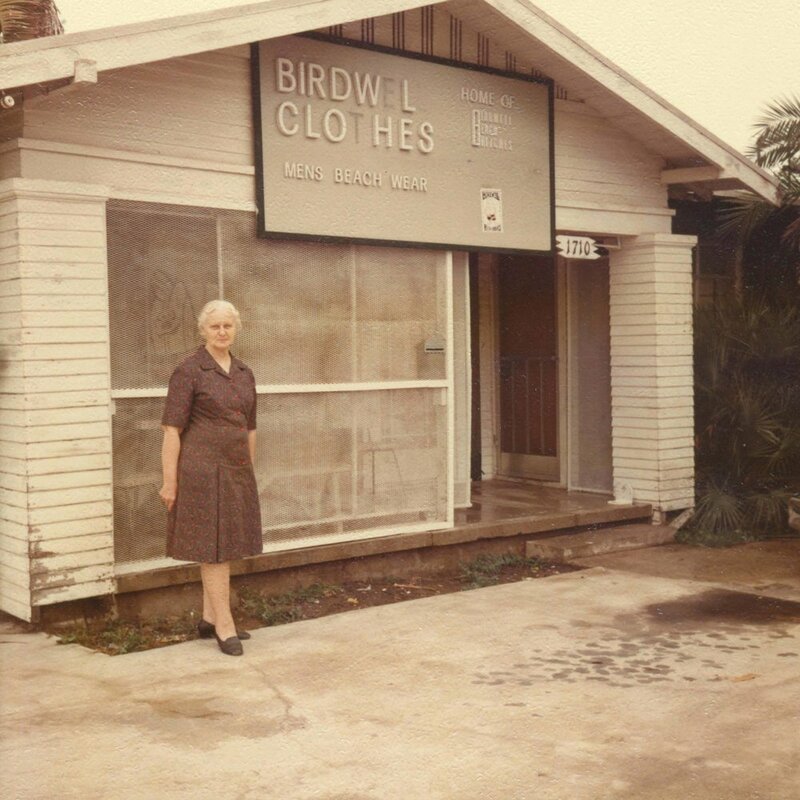 The Tidalist: Tell me a little about your backgrounds prior to joining the Birdwell brand? Natas Kaupas: I've spent about 10 years in Quiksilver as the Global Brand Manager and I met the chairman, Matt Jacobson who took over Birdwell and we had a friendly interaction and talked about the brand's future. Geoff Clawson: I was at Facebook prior to coming to Birdwell and our mutual friend and chairman is one of the original eight employees at Facebook. I've known him from Facebook even before I was actually a client of Facebook's and then I worked at Facebook. He and Natas have spent a long time talking about how cool it would be cool if you could get Birdwell and what would we do if we did. Then finally, the family decided they were going to sell and they decided to sell to us, but really to our friend Matt. He brought us in as owners. I was on the ownership team starting in 2014, still working at Facebook until February of last year when I was ready for something new. Birdwell needed some new leadership, so I made the transition to running things full time. It's the perfect intersection of personal passion and lifestyle. The Tidalist: Is Matt still very involved? Geoff: He's very involved and excited about Birdwell. He's a lifelong customer. For me, I wasn't a lifelong customer. I did have a pair before I became an owner. The older generation of Texas surfers all wore Birdwell. Being from Texas, there is a big market for the brand, as well as the Carolinas, partially because of the surf scene but also because of lifeguard scene. The Tidalist: You have a lot of great vintage pieces that show the evolution of the brand. This must be great for customer loyalty. Geoff: Yes definitely and the nice thing is because Birdwell has been around since 1961 and has built product that's so great, a lot of that loyalty is built in. It has been built over 56 years. When they call, we're as excited as they are that they're calling and we're like, we want to hear their story and we're like, well can we send the camera crew out. We ended up finding a guy, his dad had a collection of probably 45 or 50 pairs that he had passed down to him. It was amazing. The Tidalist: Can you tell me about the patches? How did this idea come to be? Geoff Clawson: The chairman, Matt Jacobson, and I took a trip to Waikiki this summer. We were at this great vintage shop in Honolulu and we saw these deadstock patches and we just bought every one of them that the shop had. We just thought they were too cool, so we called them the Aloha collection and wrote a little story about traveling. We always make a stop by this one vintage shop and we were blown away with these patches so that's kind of fun. Then of course everybody likes to represent their home state or maybe where they wished their home state was. We have a friend that actually has nothing to do with South Carolina, but she just likes that design. 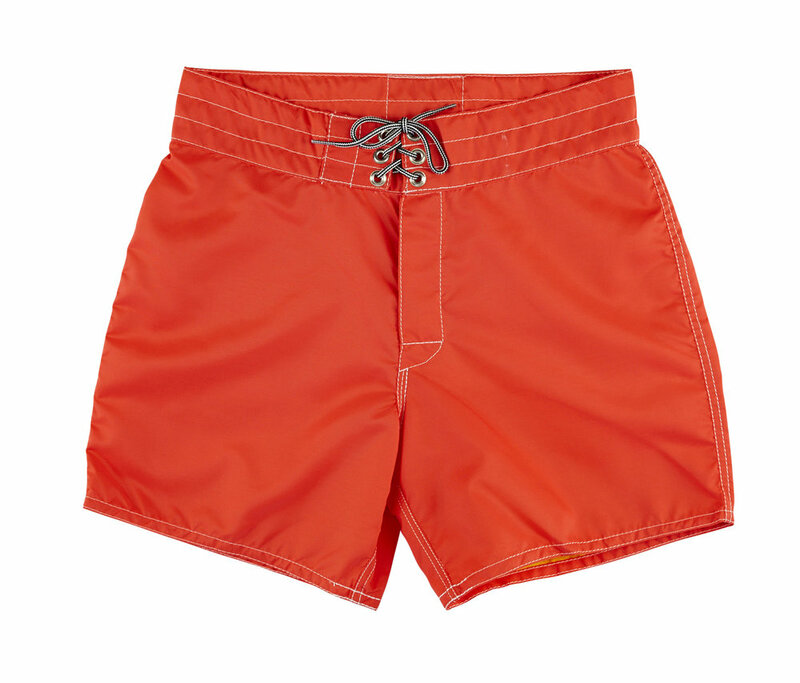 We offer the fully customized short. Whether it's your own color wear, your own pattern all the way to you’re buying a stock color but you've added your own patch to make it your own. The Tidalist: What is the general feeling about creating womenswear? Geoff Clawson: I would tell you, it is something we talk about. The womenswear space is so crowded just on a business product level. It's daunting to think about. 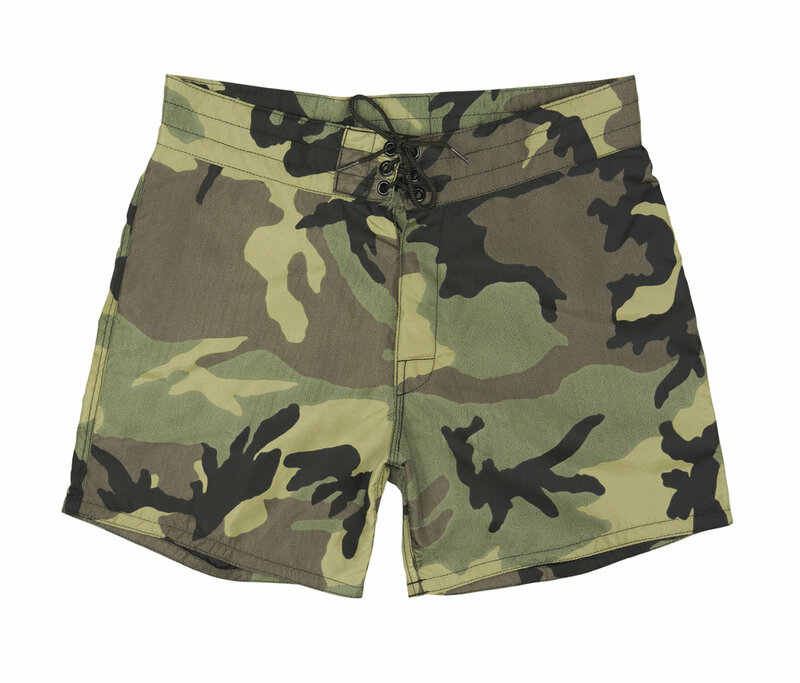 We're happy with our women's board shorts and women seem to be stoked on that. That continues to be that real strategy play for us when it comes to collaborations and to surface the product in category. We feel there's a lot of growth, a lot of runway for us that's pure board shorts, just introducing the brand to more people as it is. We are going to expand categories but for the most part it's more depth than breadth, at least in the near term. That's not to say that it will always be that way but we just feel we have a responsibility to bring the Birdwell story to more and more people, and that's a lot of the next kind of three plus years of growth for us. The Tidalist: How did the Todd Snyder collection come out? Geoff: It's actually something that connects back to the J. Crew in-good company program that we were a part of. Todd Snyder was the creative director at J. Crew at that time and he and Mickey started the program to help highlight smaller brands that are true heritage brands. Todd was at the beginning of that conversation and when he left J.Crew, he wanted to buy Birdwell. To be honest, he cold called us and was like, "I want to do something with you, I've loved Birdwell forever. We have to do something." From that point we started on a 12-ish month conversation to be sure that if we did something it had to be interesting to both customers but also be very Birdwell. 12 months later, we had a collection that was incredibly well-received. The Tidalist: Anyone that you would love to collaborate with? Natas: Well, we did a collaboration with RVCA last year. That worked out well and we're doing it again which is exciting and we have the confidence in what we can do and the response to it. What's cool is, because of this mutual appreciation for the industry that both brands share, we're not really competitors because they view us as the grandfather of the industry and Pat Tenore the founder of RVCA grew up wearing Birdwells. He's like, "This is cool. We're doing this." Geoff Clawson: If we are going to do collaboration that means we are in the wholesale business where if we are making something, we are selling it to them the wholesale but then they can mark up and sell to their customers. It has to make strategic sense like when we are able to reach a new customer like with RVCA and their younger set or J. Crew with the mass market. The cool story with Mickey Drexler is that a lot of people in the industry tried to buy Birdwell at some point along the way because there are just not that many great American brands who still made everything in America, not messed up in some kind of a licensing deal overseas like unsullied brand. Anyways, the New York Times did a profile on the company in March of this year and there is a great quote from Mickey saying, "I wish I would have bought it but I'm so glad they did and we got to do something with them."